In 2011 Sunita started her own media consulting business where she successfully helped companies with media planning and marketing initiatives. Before venturing out on her own, she was a General Manager at Starcom focusing on clients such as Heinz, Kotak and General Mills. Sunita also worked at R. K. Swamy BBDO as Director of New Business Development. She began her career at Lintas in 1994 working her way up from Management Trainee to Media Director. While at Lintas she looked after clients such as Tata Motors, Marico, Siemens, BPCL, ICICI Prudential Life Insurance,and ITC to name a few. She also spent two years as the Head of Media in LOWE East Africa where she handled clients like Vodafone, Coca Cola, Standard Chartered etc. 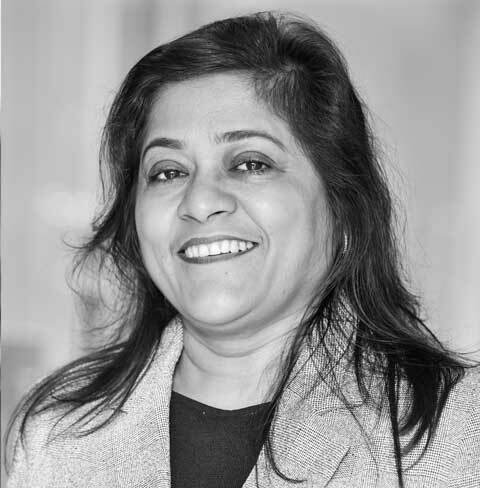 Sunita’s varied and rich experience has given her invaluable insight into the Indian consumer. Her ability to structure deals has earned her a reputation as an astute media specialist. She is a strong believer that success comes from building teams founded on trust and hard work. Sunita has a post graduate degree in Mass Communications from Symbiosis in Pune.